A book launch is an event that celebrates your book being published. To begin with, your book will be of most interest to your friends and family rather than strangers, but don’t worry, some work on marketing will help broaden your audience. Some of the most successful book launches we’ve seen were done by writers who took the opportunity to celebrate the end of the writing process and say thank you to those who helped them get there. That’s a great place to start. If you can, try to generate some local interest by involving your local library or bookshop. Ensure that you have copies available on the night at a discounted price to encourage people to buy them. Make sure you have a pen handy, because your family and friends will want signed editions to keep sealed ready for when your book takes off..! If you do manage to get any journalists or bloggers to come along, make sure they have a book to take away with them and a sheet of information with all the key points about you or your book, which could help them out when writing a review. As anyone who has organised large parties will know, you’re often so busy sorting everything out that you don’t get much chance to talk to anyone. Do ask a friend or family member to help you on the night so that you can talk to guests without always having to worry about drinks, collecting money for books, or the many other things that need to be taken care of. Even if your book launch is quite far in the future, there are some things that you can do to help you prepare. The first is to try and go to some other book launches and get an idea of what you think works. Try and get to know some of the people on the local book scene or interact with groups who might be interested in the subject matter of your book. As ever, widening your circle of contacts can pay dividends later on. Due to high demand, book signings are getting increasingly difficult to organise with bookshops such as Waterstones, but this doesn’t mean that you shouldn’t try. We’d recommend that you approach your local bookshop and very kindly ask them if they would consider hosting a signing or event. Try to think of things that would make it worth their while – perhaps a piece in the local press that you have managed to get, or a talk on local things that would interest their customers. If you do manage to book a signing, make sure you promote it as much as possible locally and online. 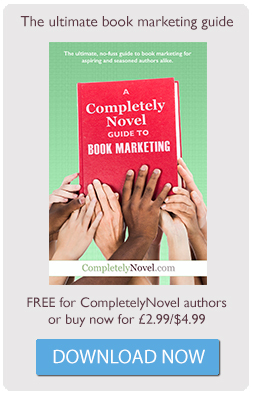 Some authors will receive a roaring success on the day, and others won’t sell a copy. This often has nothing to do with the author, and any bookseller will have a story of a celebrity author who did a signing with no customers. As silly as it sounds, it’s often the luck of the weather that determines the amount of sales. If you are lucky enough to have customers around you – don’t pressure them into buying your book. Instead, try being friendly and talking to them about the writing process, or introducing a fact that they might not know. If they don’t seem interested, it could be that it’s just not for them. Don’t be disheartened – there are plenty more readers in the sea! Your local library might well be interested in holding an event by you. Events are particularly good if you have a non-fiction book that you can talk about, or a children’s book that you can build activities alongside. Try to think of informative and engaging topics to talk about that relate to your book. If you have a novel, why not do a talk to other writers looking to get published, or talk about a specific thing you researched whilst writing it? A book tour is a series of signings and events across an area. This can be very local, national, or even international! It can be a difficult thing to organise and do – especially if you work or have a young family. However, there are some authors who have sold hundreds of copies via book tours – especially ones that have a theme the press might have interest in. These are not quite as easy as they used to be – in the UK you will need to be CRB checked before you can go into schools, which can take a while. However, if your main audience is children and you enjoy telling stories, it may well be worth the investment and time. If the children enjoy your book, they will be asking their parents for a copy, so make sure that there is an easy way for parents to get hold of your book. It’s always a huge advantage to have some insider-knowledge as to how a school works with writers or performers, so start making friends with some teachers! Contact our expert team if you need help with any aspect of self-publishing your book.